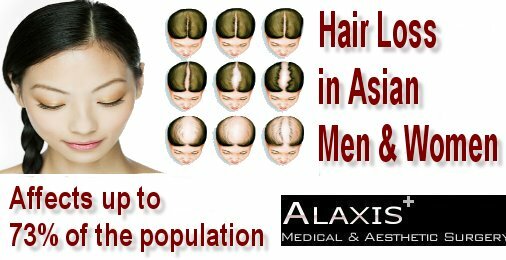 At Alaxis Aesthetics Clinic in Singapore we use a technique is pioneered in Miami Florida by Dr Roger Khouri MD. The concept is rather simple – we harvest fat from other parts of your body – usually from places you want to reduce e.g. 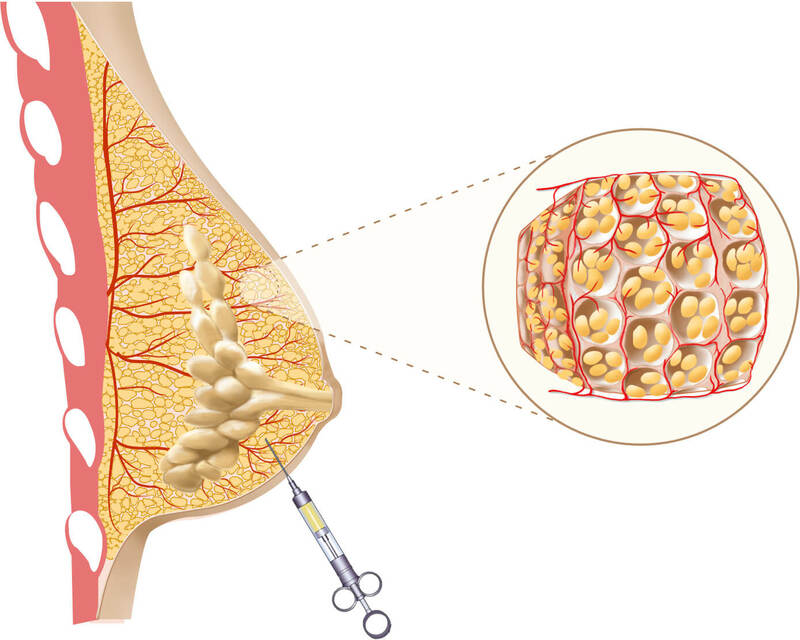 tummy, love handles, outer thigh and then reinject these fat cells into the breast through small injection needles. For many years, this technique was not very successful as there was poor uptake of the fat. This outpatient technique is minimally invasive and has the wonderful side benefit of liposuction. With Dr. Khouri’s micro-fat transfer( Miami Fat Grafts )procedure, the patient prepares for the procedure by wearing an external expander called BRAVA, while she sleeps for a few weeks. This soft gel-like brassiere gently suctions the breast area in order to create an adequate matrix for the fat injections. Original small breast before treatment. Inset shows normal tissue density. BRAVA system is placed over the breast area when you sleep. 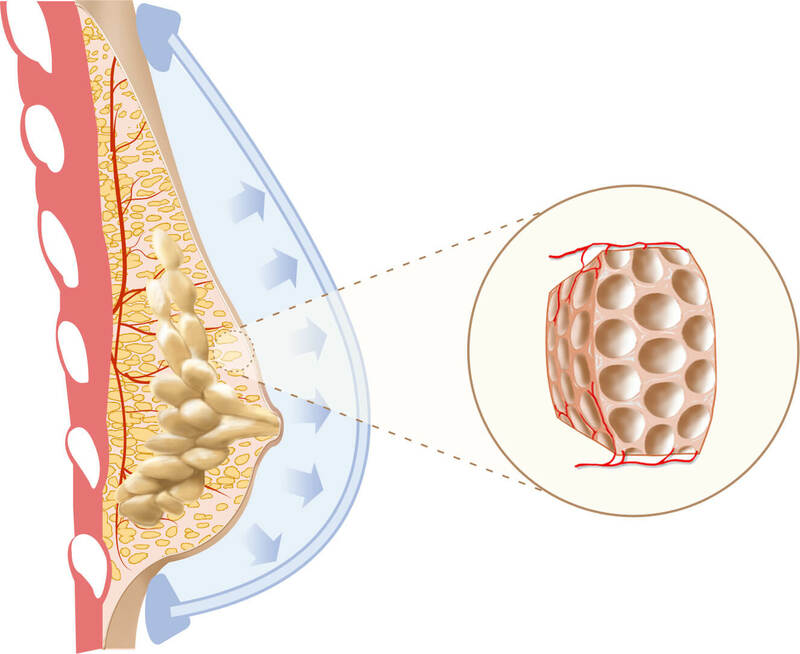 Vacuum inside the domes pulls the breast tissue outward to start expansion. Inset shows loosening of the normal tissue density. It’s the key for a high rate of fat survival. With continued expansion, the breast enlarges even more. Inset shows the loosening up of the tissues as they open up like an expanding sponge to make room for the grafts. Notice that with this rapid expansion there aren’t any new fat cells, only a loosening of the normal tissue density with stretched out fibers and tiny new blood capillaries along the expanded structure ready to accept the grafts. 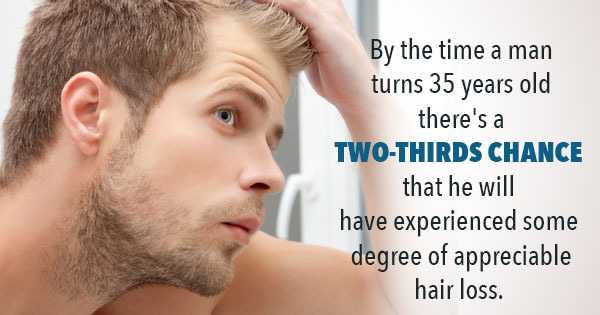 The expanded space is grafted with fat harvested from your desired body area. No cuts or incisions are made, only needle pokes. The fat fills up the expanded vascular structure and restores the normal cellular density. 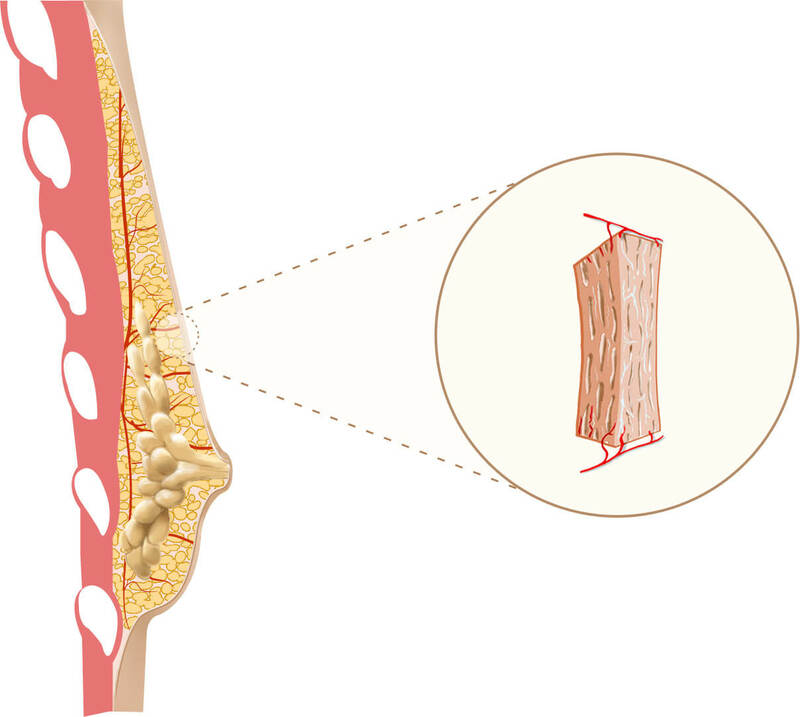 Inset shows how new blood vessels help keep the fat deposits alive. 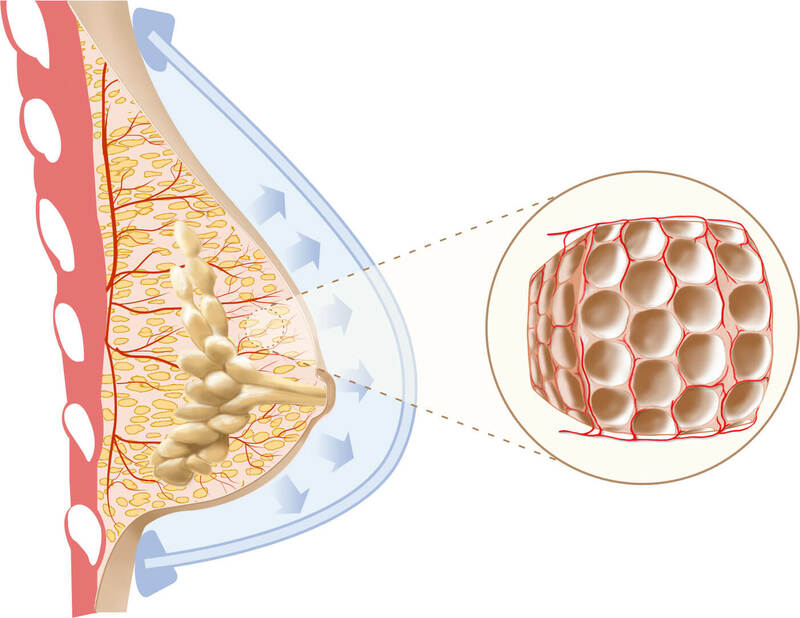 The breast has been augmented with tissue engineered fat. Dr Donald Ng will then removes fat from one area of your body and meticulously injects it back as hundreds of tiny individual droplets in the breast site. These micro-fat transfer (autologous grafts) are harvested by gentle liposuction from the thighs, buttocks and stomach–wherever there is fat to spare. Even skinny patients do extremely well with this procedure. The fat then grows within a matrix of tissue and the breasts enlarge ‘naturally’, while the patient receives the benefit of liposuction. By using your own fat, we will fulfill your desire of having larger breasts. New moms also love our procedure, since it is perfect to restore volume that normally dissipates after child birth. As compared to implants, natural breast enhancement techniques such as herbal remedies, creams, foods, and exercise, breast augmentation with fat transfer involves no incisions, no new scars and no foreign objects. You will love your new breasts.